Kinect™ for Xbox 360® with Xbox LIVE brings games and entertainment to life in extraordinary new ways – no controller required. Easy to use and fun for everyone. Control movies and entertainment with the wave of a hand or the sound of your voice! 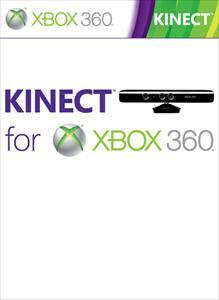 With Kinect™ for Xbox 360®, you are the controller. Easy pick-up-and-play fun for the whole family, it’ll have everyone up off the couch laughing, cheering and playing along. Kinect™ for Xbox 360® brings games and entertainment to life in extraordinary new ways – no controller required. No gadgets. No gizmos. Just you. Kinect™ for Xbox 360® brings games and entertainment to life in extraordinary new ways – no controller required. Easy to use and instantly fun, it gets your whole body in the game. A step-by-step guide to setting up your Xbox 360, Kinect sensor and play space. Kinect™ for Xbox 360® brings games and entertainment to life in extraordinary new ways – no controller required. Simply jump in, Kinect recognizes you. And stay connected with friends in fun new ways! A simple tutorial on finalizing console settings and connecting to Xbox LIVE. A how-to lesson on the basics of using Kinect.